Barefoot In Blue Jeans: Aussie Sprunch Spray Really Works! Aussie Sprunch Spray Really Works! 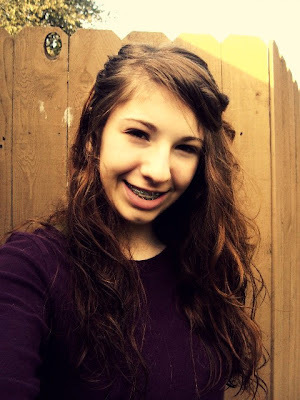 Lately, I have been experimenting with new hair styles instead of just straightening it in the mornings. Like a side pony tail, with damp curls, my natural curls. 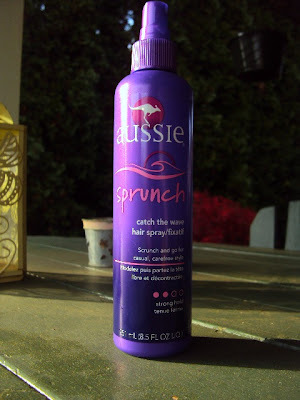 I finally wanted to get some sprunch spray and try it on damp hair. It would be fun. So a week ago, we bought some! From my favorite hair product brand.... Aussie, It smells so good and it works! I also use Aussie shampoo and conditioner, I use the Cleanse and Mend and Moist Aussie shampoos and conditioners. The Cleanse and Mend kind helps my hair tips stay moisturized and TOGETHER, helps me not have split ends. I use Moist to make my hair not so dry. Both make my hair super soft and really clean. I don't feel like my hair is oily after washing it when I use Aussie, so that's all I use... Aussie. About the Sprunch Spray, It really works... I love it! It smells awesome and it HOLDS! It's like hair spray, but it enhances your natural curl and keeps your natural curl. Like I have been saying, I LOVE THIS PRODUCT!